Pachmayr's Signature Grips feature a patented full wrap-around design and are made from rubber specially formulated for use on semi-automatic pistols. This rubber compound gives them a feel that is unmistakably Pachmayr. Built-in steel inserts ensure they maintain their shape. Signature Grips are the overwhelming choice of competitive shooters and law enforcement personnel alike. Available in the widest variety of models for most of the popular semi-automatic pistols. 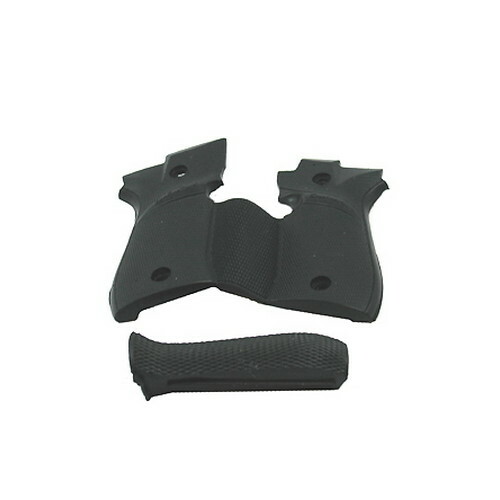 Each is designed for a specific pistol and its anticipated use.